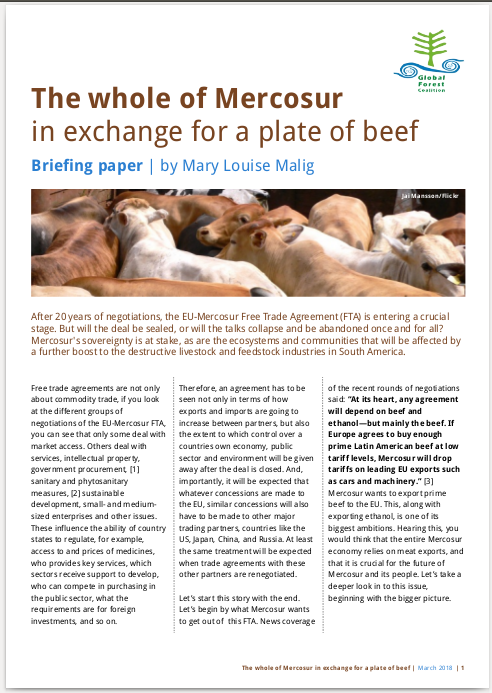 By: Mary Louise Malig * After 20 years of negotiations, the EU-Mercosur Free Trade Agreement (FTA) is entering a crucial stage. But will the deal be sealed, or will the talks collapse and be abandoned once and for all? Mercosur’s sovereignty is at stake, as are the ecosystems and communities that will be affected by a further boost to the destructive livestock and feedstock industries in South America.